The problem with credit-card industry is not just credit card companies- you are equally to be blamed for it. Every penny of Americans’ nearly $1 trillion in revolving debt started with some individual person. Whipping out a plastic card at our free will it may not be end of the story. Everyday people make bad financial decisions despite knowing the consequences. People often make bad economic decisions thus putting themselves in huge amount of debt. The statistics have shown that consumer debt continues to rise clearly showing that people are not mindful about their finances. Thus every household budget includes a debt payment fund entry and it seems it will continue to haunt our lives if we don’t take measures today to control the problem. Although people will trying increasing their income by juggling few jobs at a time in order to pay off their debt, but if you want to get rid of your debt fast you need to take certain extreme measures. A little amount of sacrifice today from you and your family can guarantee you and your family future peace of mind and happiness. At first things may seem tough but once you get hold of things you will realize it was not that tough after all. All you need is to follow on some of the ways that can guarantee you to boost your debt repayment and get a debt free living. You can discuss the possibility of living on one income with your partner/spouse and can reach a mutual consensus. You can plan together on cutting back the spending and can manage your budget so that you can manage to live on one income. You can choose to live on the income of the one who earns the most and save up the other’s income which will automatically boost your debt repayment fund. If this method is too extreme for you, you can start by allocating 25% of total income to the debt payment fund and can gradually increase it month by month and in no time you or your partner’s whole income can be deposited into the debt payment fund. If living on one income is not possible, what about selling the car and saving up the money that is required for its maintenance? According to AAA.com recent findings an average person spends nearly $9,000 or more annually on his car. If you sell your car though you will have to deal with few transport issues but at the same time you will be saving $9,000 for debt payment fund. You are free from the hassles of car maintenance, fuel prices, insurances etc. you and your children can start using commuters or can ride a bike to work and school which is environment friendly and a good physical activity at the same time. If you own two cars you can sell the one and can share it with your partner or can sell both the cars which will increase the fund to $18,000 a year. You don’t have to worry about living without a car forever. You can always buy a car once you have paid all your debts you can buy a car anytime. 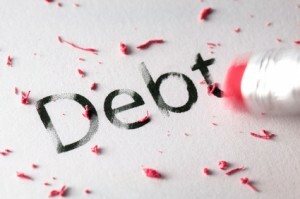 In order to boost up your debt repayment fund you can make extreme adjustment and that is to downsize your home. Mortgage loans are still considered to be the biggest debt owned by the average American. You can own a smaller house instead. Your children can share rooms with each other and you don’t need the backyards and front porches either. Owning a small affordable place will save you a lot of money. Fewer amounts of bills and no mortgage to worry about hence more saving for the debt payment fund. Lastly, you and your family can stop using credit cards. You can stop using it entirely or can use it only when a dire need arises, but remember to pay them off immediately as you don’t want an extra burden on yourself. This will not only teach you to control your finances but also at the same time will increase your payment fund too. Following these extreme measures will help you living a life of financial freedom. Along with you and your spouse include your kids in the process so that they can understand the consequences of irresponsible financial behavior. Don’t make major purchases, first pay your debt then move ahead. Be frugal with wants. Look for less costly alternatives for enjoyment. Getting rid of the debt can be as fast as you want but in order to gain that you need to implement few changes in your life that are worth making.